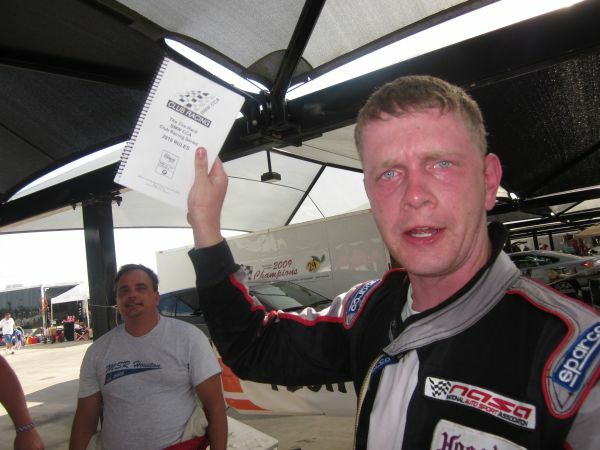 MurileeMartin.com » Blog Archive » LeMons Justice, September 11 Style: Burn The BMW CCA Rulebook! 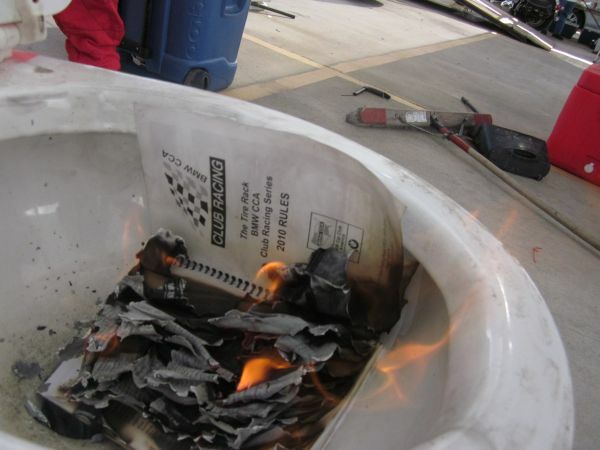 LeMons Justice, September 11 Style: Burn The BMW CCA Rulebook! We of the 24 Hours of LeMons Supreme Court always like to come up with penalties that refer to current events and/or local interests. For example, the Mark Sanford’s Love Letter To Argentina penalty in South Carolina. 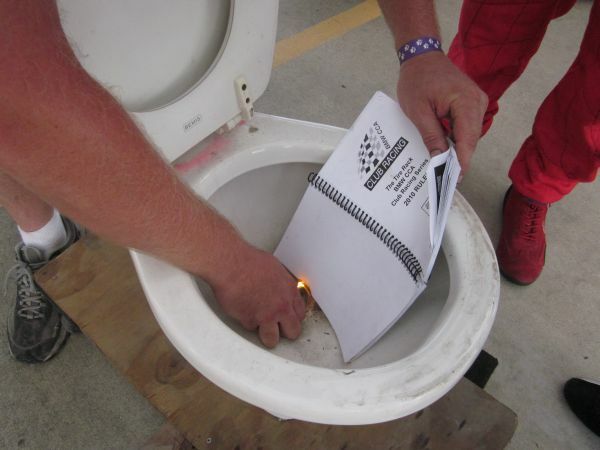 Since September 11th, known in red-state America as International Burn A Koran Day, happened to fall on a LeMons race day— in this case, the Yeehaw It’s Texas race at MSR Houston— we figured we’d have a penalty that required the miscreant driver to burn a book that offends us just as much as the Koran offends that brain-damaged dingbat at the Dove World Outreach Center. We wanted to use a copy of the SCCA GCR, which is about the size of a phone book, but nobody was willing to sacrifice one. However, we did get a copy of the BMW CCA rulebook, which was close enough! Naturally, we picked an E30-based team. Here we see them trying to get the hateful, Satanically-inspired book to ignite. It works better when you use the Crappy Driver Penalty Toilet to shield the evil book from the wind. Yes, International Burn A BMW CCA Rulebook Day went off as planned! You could burn the LeMons rulebook, but that’s like two sheets of paper.